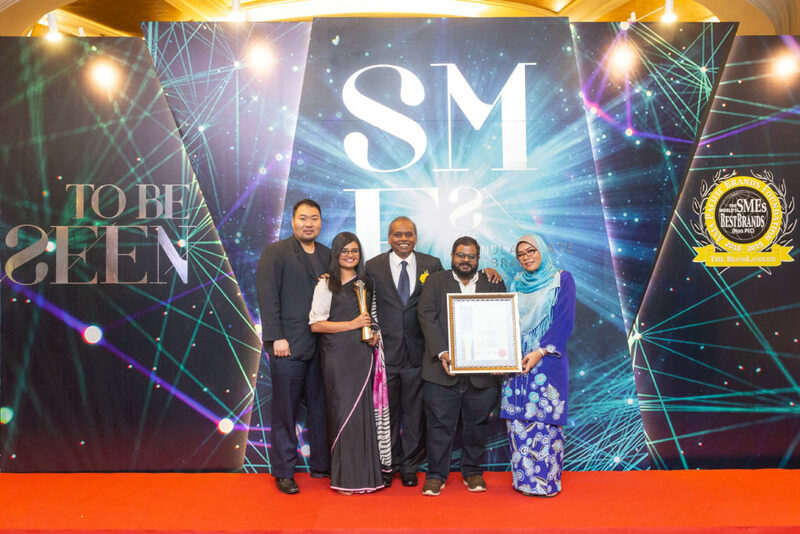 KUALA LUMPUR, 27 March 2019 – Brickfields Asia College (BAC) has won the coveted Best SME Brand in Education award in recognition of its brand excellence in the education industry at the BrandLaureate SMEs BestBrands 2018-2019 Awards dinner that was held last night at Majestic Hotel, Kuala Lumpur. 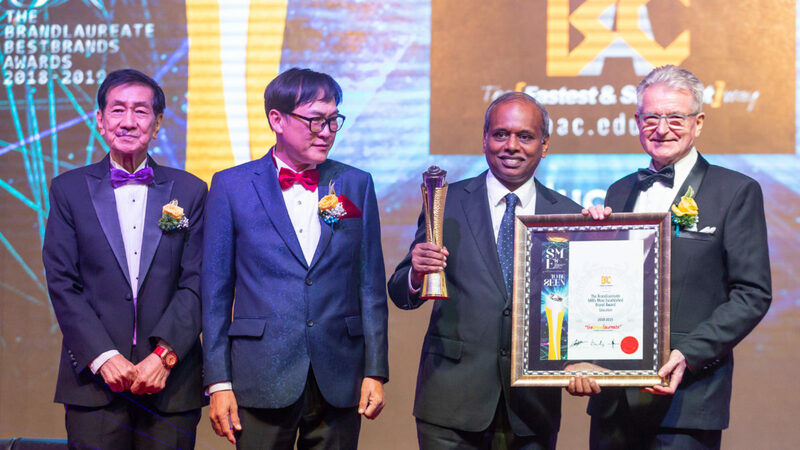 The award recognises BAC’s vision to transform lives through education, future-proofing students with lifelong learning, as well as enriching educational accomplishments with cultural and social intelligence thus developing employable skills for a 21st-century ready workforce. BAC Education Group Chief Financial Officer Mr. Arul Sothy said the award is a recognition of BAC values – a continuous commitment towards excellence in teaching and learning, providing innovative educational solutions and dedication to transforming a wide pool of talented and highly-qualified individuals. “With highly-qualified and experienced lecturers, as well as state-of-the-art technological resources, we have managed to transform our ways of educating our stakeholders better through BACked4life, a unique ecosystem that provides free short courses crafted to enable students and working adults to be future-ready while providing a comprehensive online learning platform for digital-savvy users,” he said. The BrandLaureate Best Brand in Education Award is awarded to SMEs that have a track record of pushing the envelope in exploring and expanding on their brand presence. The award adds to the numerous awards BAC has received over the years, such as the SME Platinum Business Award “Best Overall Brand”, the SME Entrepreneurship Business Award for EduPreneur of the Year and the BrandLaureate Best Brand in Legal Education.